Twitter’s legal team sent an email to activist Ensaf Haidar, a Canadian citizen, after she posted a tweet against the practice of wearing niqab. New Delhi: Canadian-Saudi activist Ensaf Haidar received an email notification from Twitter Friday, for violating the law of Pakistan, a country she doesn’t belong to. The email was sent after Haidar posted a tweet against the practice of wearing niqab. 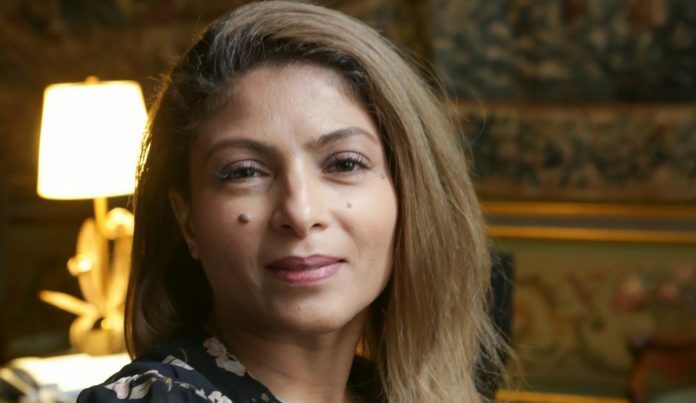 Haidar, who is the wife of imprisoned Saudi-Canadian blogger Raif Badawi, has vehemently opposed the practice of wearing niqab on social media in the past as well. Badawi was arrested in 2012 for running a blog focused on political issues and is serving a 10-year prison term. He was also sentenced to cruel practice of flogging, which caused a global uproar. As a wife who lost her husband..
As a mother who can't answer her kids hard questions..
Haidar moved to Canada after she received threats while she was in Saudi Arabia. She also manages Badawi’s Twitter handle to raise awareness about her husband’s plight. – If you were born under Sharia and forced to wear the niqab and your humanity was stolen, you know why I'm against all this. – Si vous êtes né sous la charia et forcé de porter le niqab et que votre humanité a été volée, vous savez pourquoi je suis contre tout ça. Although Canada does not take any action against anyone for criticising the niqab, Twitter’s legal team reminded Haidar, a Canadian citizen, about the flouting of the strict anti-blasphemy law in Pakistan through its email. “Jack (Dorsey) tries to silence everyone who tells the truth like Laura Loomer and others, while he acts blind on the Anti-Semitic and the hate speech in the Arab world! In the end @TwitterMENA is ran by some extreme radical staff and Jake know that well!,” Haidar said. She posted the screenshot of the email on Twitter, which stirred up a storm on the social media platform. Hahah. Hilarious when a Canadian-Saudi activist gets a notice of violating Pakistani law. Seriously twitter ??? Many others talked about the absurdity of Twitter’s action, pointing out that Pakistan’s laws weren’t the best to set an example for Twitter conduct. Is this the same Pakistan who tried to execute a Christian lady for drinking out of the wrong cup? Just asking. “When we notify users that we have received a report against their account, it does not necessarily mean that we will take action on that report,” Hayes said. Twitter and @jack have no problems with a terrorist guy Calling to cut the head of my husband @raif_badawi the prisoner of conscience, He was only banned from tweeting for 12 hours!! !